Great Splash Fun on a Wide Wave Slide Made by the Manufactory of attractions. 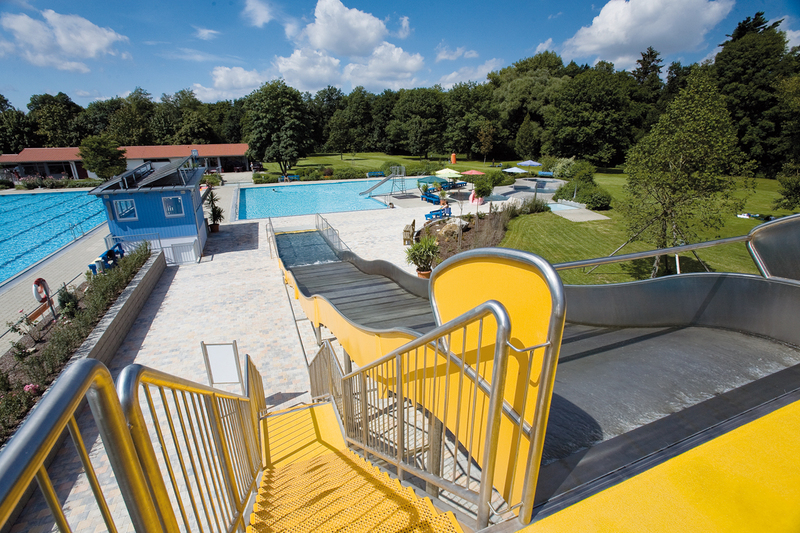 atlantics’ curently largest wide water slide can be found in the outdoor swimming pool of Eichendorf / Bavaria. The 3.00 metre wide and 24.00 metre long slide surely is the highlight of the pool. This slide, too, can be used independently from an existing swimming pool thanks to its integrated plunge pool. 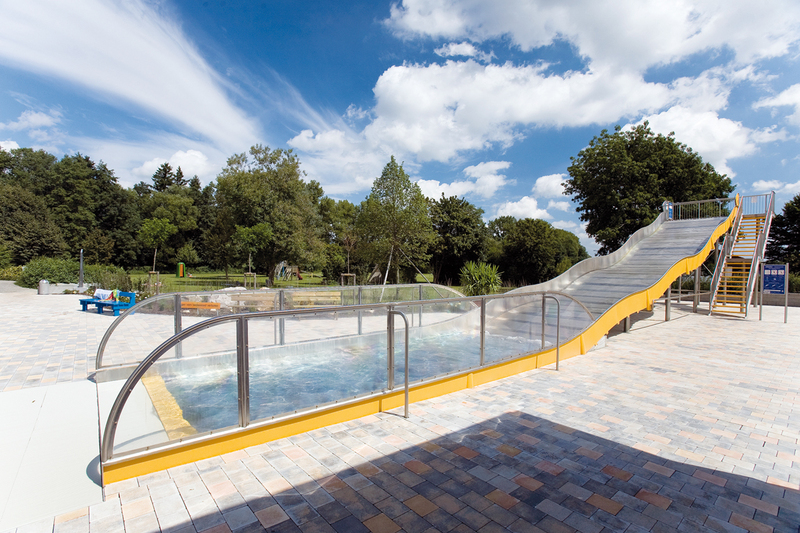 The wide water slide of Eichendorf was furthermore painted in dahlia yellow, thus making it a remarkable sight.